This week for One Good Thing we’re highlighting TAP into Hope! We wanted to share the example of how teamwork is a key factor in an organization’s success – specifically with this story surrounding rare books. The rise in popularity is due to some readers finding a parallel between the book written over 50 years ago and the current president. 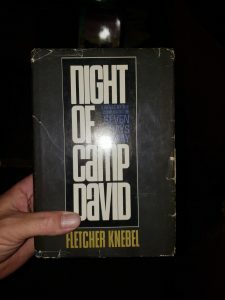 Regardless of political views, we realized that this book was quite popular and older versions of the book were selling for high prices – so we encouraged our members to be on the lookout for this book after it was found in the donations at one of our locations. Congratulations to TAP for using teamwork to sort through donations and find this rarer book and good luck to everyone else on the treasure hunt!